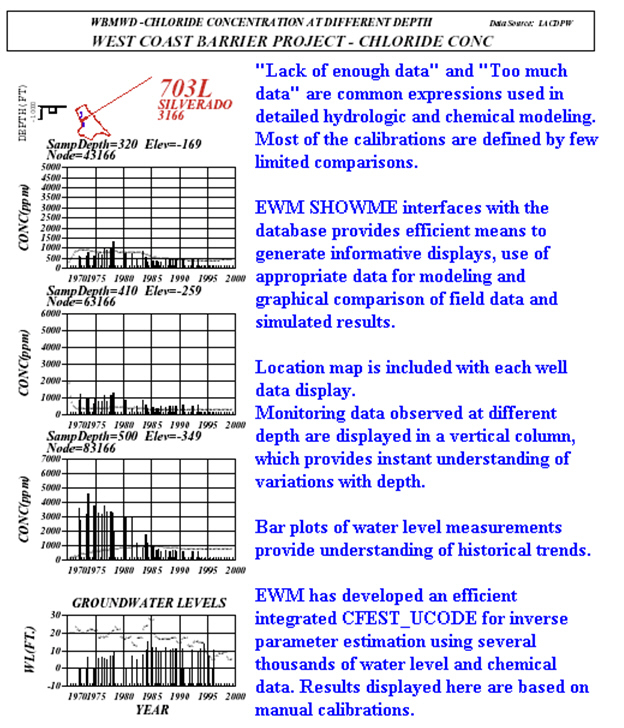 EWM groundwater code automatically assign node to each well. 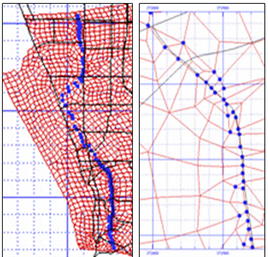 EWM numerical models assign a node for each injection and monitoring well. 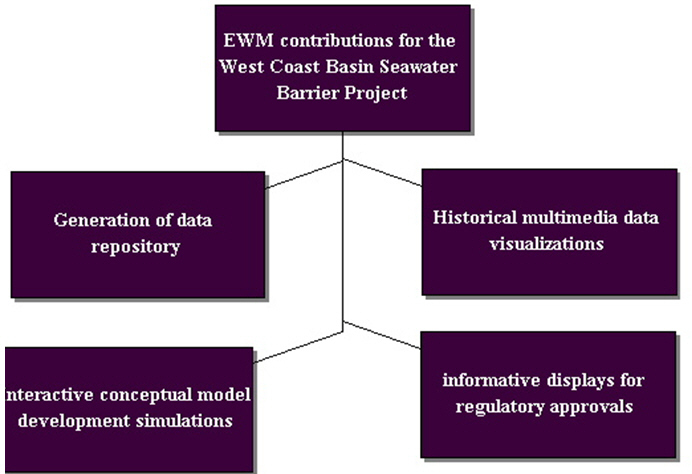 EWM conceptual model efficiently represent the complex geologic layer geometries and their lateral extents. 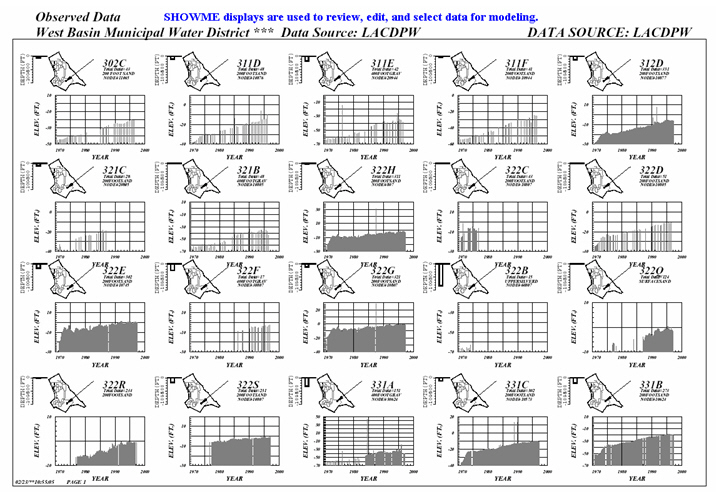 The comprehensive uses of SHOWME, 2-D/3-D displays, and animations assist project managers, decision makers, regulators, and the public to understand site characteristics, underground geologic complexities, and site performances. 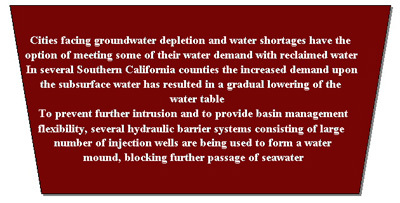 Excessive Groundwater extraction resulted in landward migration of water. 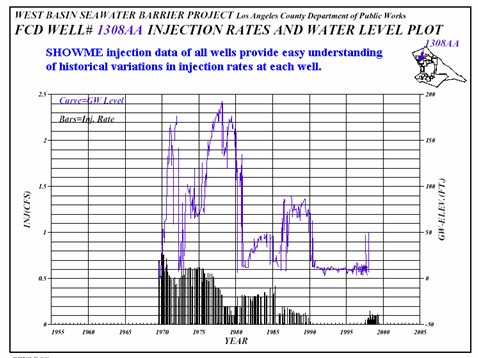 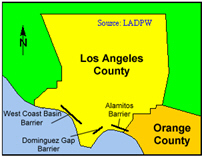 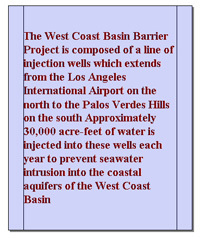 For past 30 years, Los Angeles County has been injecting fresh water in more than 200 wells to control sea water intrusion. 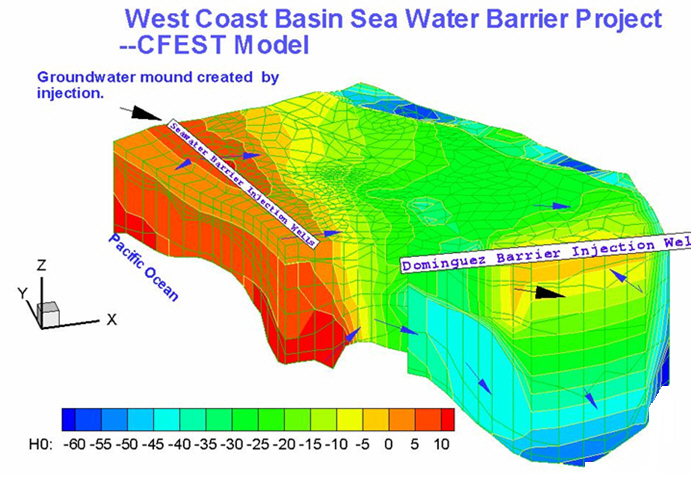 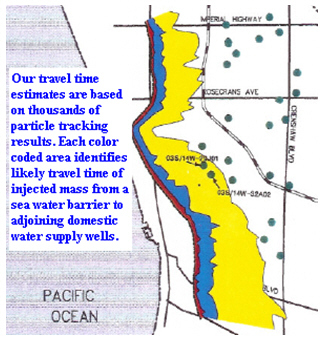 CFEST Model stimulates historical performance of sea water barrier. 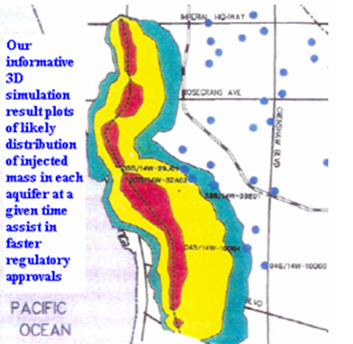 CFEST Model is used to evaluate impacts of injecting blended high quality reclaimed water on water supply wells.